The following are just a few of our many testimonials. To view more testimonials please visit our Facebook page. I want to thank you for the amazing job you did training my dog Mac. Because of the dedicated staff and proven techniques, our precious Mac has become the best dog. Mac now goes on walks, goes to the park, interacts with other dogs and is a joy to be with. the quality of his life, even at age 13, has become so much better. We are so grateful to you all for your facility, we sent Mac to you for two weeks and it was worth every penny and the time away from Mac. thanks again, Kay and Scott. 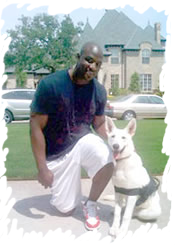 All Dogs Unleashed is Dallas / Fort Worth’s premier one stop dog shop. We specialize in dog training, daycare, boarding and grooming to clean your pup up at the end of the stay. We focus on not overcrowding our facility so your dog will receive the best of care. This facility was built brand new with your pet in mind. We offer outside turf so you do not have to worry about your pet getting muddy or bothered with bugs. We also offer indoor and outdoor play areas for your pet to get the proper socialization every dog needs to be well balanced. We are also located near the airport right off 635 and George Bush making it easy to pick up and drop off your dog if you are going on a trip. Give us a call or come see our Dog Resort! © 2017 ALL DOGS UNLEASHED ® ALL RIGHTS RESERVED.